DUG Insight User ManualFrequently Asked QuestionsFrequently Asked Questions PolygonsHow do I convert culture polygons into regular polygons? Note: These instructions are for importing a single polygon into Insight. In order to import multiple polygons, see How do I convert a .duculture file containing many shapes to a .dupoly file. From the Culture tab in the Map View, right click on the culture file and select Export 'Culture'. Export the file as an ASCII format .duculture file. 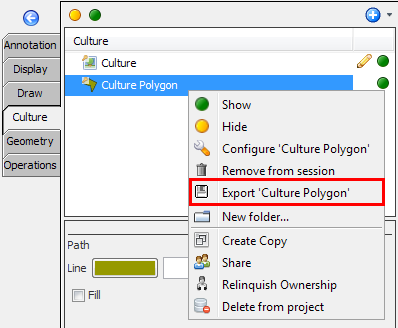 In the Insight Control Panel, expand the Import menu and select Polygon. At Files of type, select All Files. Select the exported .duculture file and click Open. 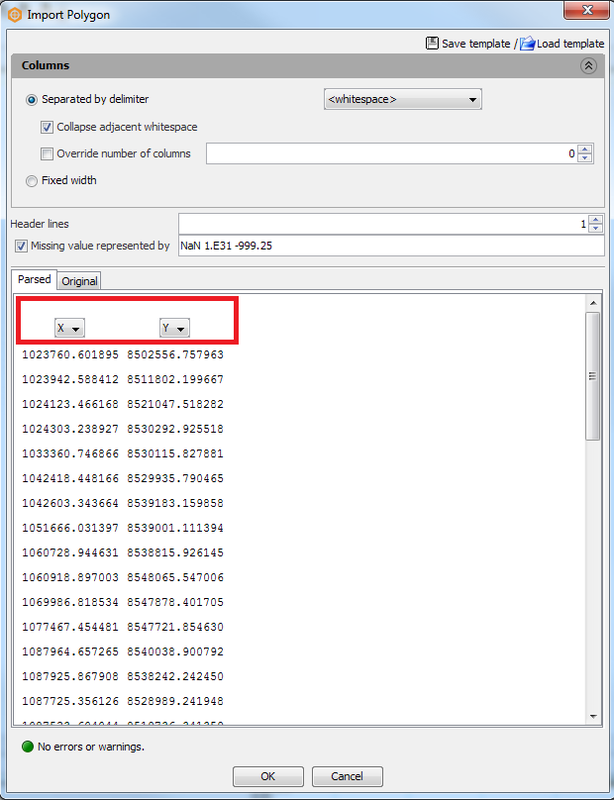 In the Import Polygon window, define the X and Y columns. If there are no errors, click OK.
You should now have your culture as editable polygons. Prev: How do I find out the area and volume of a polygon? Next: How do I convert a .duculture file containing many shapes to a .dupoly file?